Newly Renovated Kitchen Sold this Condo for Top Dollar. They say investing your money into renovating certain rooms of your home can greatly increase the value of your property. 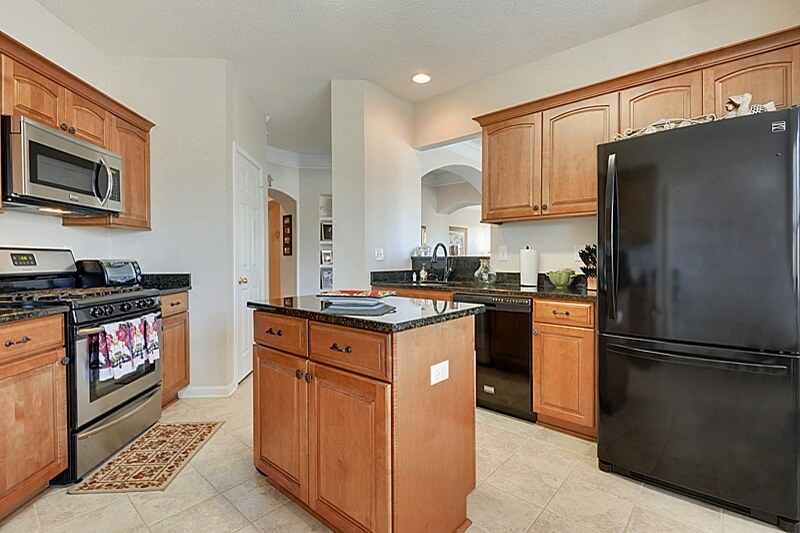 The previous owners of this Villas of Legacy unit can attest to just that as they received an awesome offer on their condo ($175,000) after renovating their outdated kitchen to the new design shown below. The spacious 2 bedroom, 2 bathroom Arlington floor plan not only got a new kitchen but new flooring and plantation shutters throughout. The sellers happily accepted the offer and the unit is now SOLD! 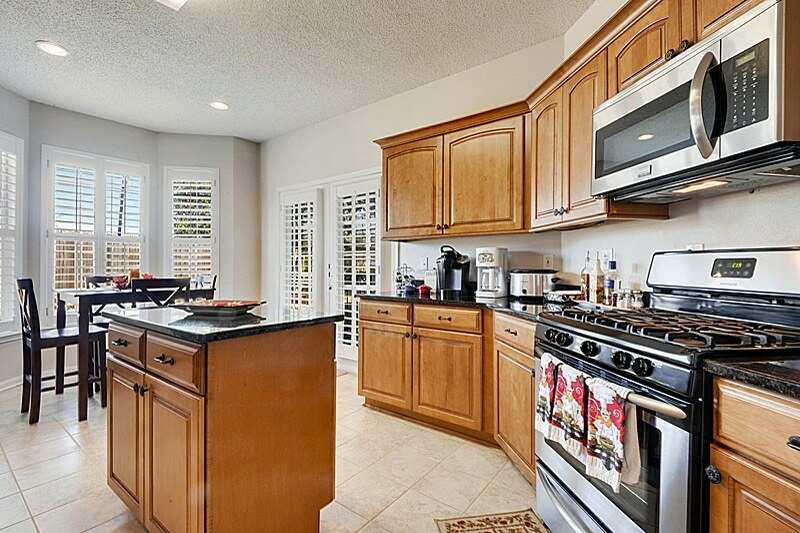 Newly Renovated Kitchen in the Legacy Villas unit seals the deal with the new owners. Warm, inviting, and functional – the recipe for great kitchen design.